April Cornell - Live Beautiful: Chance to Win a Little Girls Outfit! Chance to Win a Little Girls Outfit! Little girls and dressing up is the stuff that memories are made of. We were three sisters growing up and my young mother made sure that we were all decked out for the holidays- so often those are the only photos we have - special occasions with the family together - little girls, pretty dresses, and enough toys and love to go around. When my turn came to be a mother it was boy, boy, boy! We had many magical holidays, but no pretty dresses. 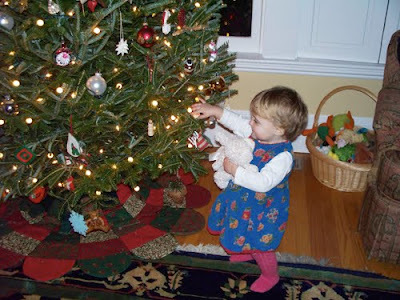 Now I have a little granddaughter, Josephine, to play with and dress up and take pictures of. Imagine how cute she will be this festive season. Enjoy our fine selection of delightful girls’ dresses - from newborn to size 10 - in styles meant to be immortalized with the flash of your camera. To win a little girls' holiday outfit: Please post memories of your little girl in April Cornell to this blog and/or email photos (aprilcornell@aprilcornellholdings.com), we will post the pictures and choose a winner! Some beautiful photos! How adorable! UPDATE: We have a winner! 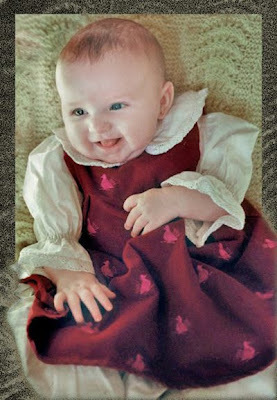 Congratulations to Julie B. who submited a wonderful picture of her daughter at her first Christmas in a gorgeous dress. May you both enjoy the outfit! when i was getting married thirteen years ago i had to pick out the flower girl dresses. i have two much younger sisters- at the time i was getting married they were 4 and 6 years old. i ended up buying sweet white dresses for them from april cornell on the Plaza in Kansas City. i still have one of the dresses they wore and now my girls wear it for occassions. i love it! My mom saved quite a few of my baby dresses and baby clothes. I am guessing she thought she would have kids closer together than she did. It was just my little brother & I for 13 years. Then along came my first little sister! She was like my own little baby doll. I was able to dress her up in my baby clothes & she was blessed in the same blessing dress I had been blessed in. 4 years later my youngest sister came along to join the family. I was 17 & almost out of high school by this time. She too wore my blessing dress for that special day. I had fun dressing her in all my baby dresses & clothes. When I had my little girl my mom pulled out a big box filled with all my old baby clothes. 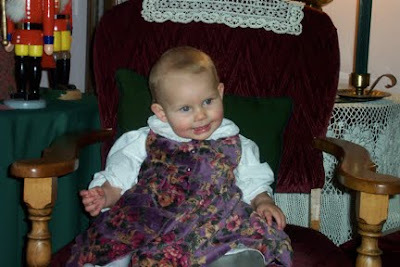 My little Sloan wore the same blessing dress that her mommie & two aunties had worn. The crazy thing is all three of my girls have worn these clothes & dresses too. The fact that these sweet little vintage dresses & clothes have made it through 6 girls & have been around for 34 years is pretty amazing. I have them packed up in a box ready to pull out someday when my daughters have their own little girls. 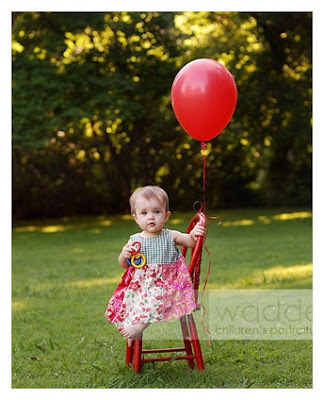 When my first little girl turned one it was a special occasion, therefore we needed an April Cornell dress for her portraits. That was seven years ago. Last year her little sister wore the same dress for her one-year-old portraits, and in April her newest little sister will wear the dress. So glad we have a closet full of AC dresses for my girls! I'll email a picture. I too, would have to dig around to find photos (i.e. call Mommy :)). My Grandma use to make my sister and I gorgeous dresses when we were growing up. I remember running around at church with my friends and haveing ladies stop me to see the latest lovely dress my grandma had created. I took all her time and effort for granted. Now I see how much love and care must have gone into each of my little dresses, and now I love taking the time to sew little dresses for my daughter. Thanks, Grandma for the love and inspiration! Sorry, I just realized my posting is not about April Cornell dresses. I only recently discovered April Cornell, and I have some clothes for me and my daughter on their way! Hopefully I will have some memories soon :). 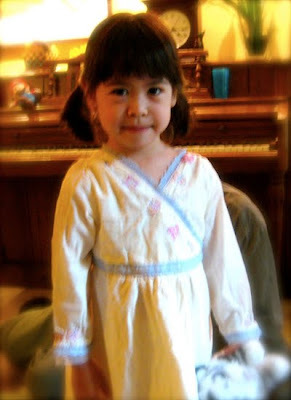 My favorite dress for my daughter was a white, sleeveless, romantic flock from April Cornell- she has outgrown this fabulous dress but it has a place in my closet for -very future- grand daughters. I thought you'd like to know that this stunning dress has become a piece of family history to pass on to another generation. Thank you and I'll look for a photo from her Uncles Wedding (Oh-poor bride wasn't the belle of the ball-Upstaged by a child!) Keep gracing the world with beauty. 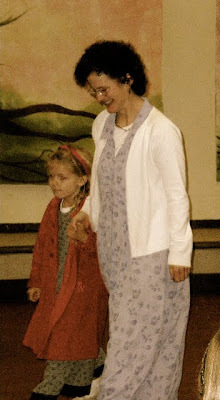 When I was little my mom made me and my Chatty Cathy doll dresses to match. Now that I have a granddaughter I will be doing the same someday :). Growing up there were three girls in our family and one boy the youngest. I used to have an April Cornell store in my neighborhood, and I always told myself that I would shop there if I ever had a little girl. 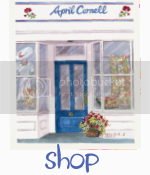 We have bought beautiful clothing at the old store and online. Thank goodness for the website! When my daughter was a infant, our fave was the neige petticoat- great material & lovely detail- such a doll baby! When I grew up in the 1960's, there were six children in our family - two girls and four boys. My mom was (and still is) an excellent seamstress...she made matching Mother/Daughter dresses for my younger sister and I much like April Cornell...and I remember an especially pretty teal blue puckered dress we all wore for Easter one year. Of course, our dollies had dresses to match as well! Today, I just don't have time to sew and so - I turn to April for her glorious dresses for my three granddaughters and every once in a while something special for me!